When I first wrote this article, there was no way to save videos that had been sent to you through Instagram Direct Message, inside the Instagram app, and Inside Direct Messages. The only way for you to save videos and photos that had been sent to you was by using third-party apps. But luckily a lot has happened since then. Instagram realized that a pain point with the app was that there was no way to save Instagram Direct Message videos that had been sent to you through Instagram Direct Message, and the only way to save a photo on Instagram Direct Message was to screenshot the photo from inside the conversation, resulting in low-resolution photos. Now, though, Instagram has made the process of saving videos that have been sent to you on Instagram Direct Message a lot easier. Ins this article, you’ll learn how to download videos on Instagram Direct Message effortlessly in a matter of seconds. Want to save a video from Instagram Direct Message to your camera roll? If you want to download a video or photo that has been sent to you through Instagram Direct Message, there are a very limited number of apps that can help you do this. The methods can, in turn, be separated into two categories. The first is to download videos on Instagram Direct Message inside the app and the second method is by using third-party apps. Then, I have a bonus tip for you at the end that is extremely effective and that few people know about. Over the years there have been numerous apps that have had the purpose of helping you dow load videos on Instagram DM. There were especially many apps when there wasn’t a way to download Instagram videos inside of the app, but over the years, many of the apps that existed have disappeared or stopped working. I have scanned the whole web for an app that would help you download videos on Instagram Direct Message that actually work, but unfortunately without any success. NOTE: THIS APP DOES NOT WORK ANYMORE. Direct Saver – Insta Downloader allows you to download images and videos from Instagram Direct. This is one of the very few apps that actually work. By logging in to Direct Saver which automatically downloads images/videos, you can save photos and videos on DM as you like. There are a few more Instagram DM video saver tools out there, but since Instagram has now made it possible to save Instagram DM videos directly in-app with the tap of a finger, there’s no real need for third-party apps in order to be able to save Videos on Instagram Direct Message, which means few new apps will pop up, and the ones that exist might shut down. This is the ultimate and unarguably the best way to save photos and videos on Instagram Direct Messages in-app. It can be done effortlessly in just a single step and allows you to instantly download videos on Instagram in a matter of seconds. This is a trick on how you save Instagram DM videos on your iPhone and Android. It is unarguably the best way to download videos on Instagram Direct Message as well as photos. When this update came out, I was ecstatic because this means that I could save videos and photos from Instagram Direct Message without having to use some sketchy third-party app, type in my Instagram username, and have a bunch of ads shoved down my throat in order to be able to save Instagram DM videos. Or, even worse, have my account hacked. Instagram wants its users to use the platform as much and as often as possible, and if their users have to use third-party apps, it means that their users have to leave the Instagram app for a while, which means lost revenue for Instagram. Also, Instagram detests most third-party apps because there are several apps that steal people’s accounts by hacking them, and so on. Additionally, when Instagram’s users have to use third-party apps because the feature doesn’t exist on the platform, it sends signals to Instagram that it is inadequate for its users. As such, Instagram introduced the feature that now allows you to save videos and photos from Direct Message inside of the app with a simple tap. To save a video or photo, go to the conversation where you received the photo or video. Now, tap and hold on the video/image. Now, a text will appear right above it that says “Save”. Now, you have saved the video or photo to your camera roll. Note that in order to save photos and videos, you need to have given Instagram access to your camera roll. If you haven’t Instagram will ask you for permission. Also, have in mind that for long videos, it may take a while for you to download the video from Instagram Direct Message. The last tip I have for you to download videos that have been sent to you on Instagram by recording your screen. By doing this, you’ll be able to download the video by recording your screen while watching the video. Could you effortlessly download videos on Instagram Direct Message? Which method did you use? If you get a video sent to you through Direct Message, tap and hold it until an option saying “save” appears. Tap that and the video should save to your photo library. Note that if the video is long, it might take a short while until it appears in your library. No, for a message, this method saves a thumbnail of the video, as kayla stated. No, tap and hold doesn’t save the video. this method only saves a first view of the video as a photo. When you tap and hold on a video that that has been sent to you inside of the direct message chat, the complete video should be saved in your photo library. The purpose of “vanishing videos” is that they should do just that – vanish. Therefore, there is (currently) no ability to save disappearing videos that have been sent to you, because that would remove kind of the whole purpose of them. Yes, that is correct. This article refers to saving videos that have been sent INISDE the Instagram DM chat. There’s no way to save “Disappearing messages” since that would remove the whole point of sending disappearing messages. I am wondering if that’s a disappearing photo/video that can only view once, can it be downloaded? And will the others get notice when you save them? If you’ve gotten a disappearing video, there is no way to save it. If you screenshot a photo you receive, the sender will get a notification about it. Does the sender get a notification that the video was saved? Are you using an app or are you doing it inside of Instagram? If you do it inside of Instagram, it should work to tap and hold on the video that is sent to you on DM and it should be saved in your photo library. If it doesn’t work, have you tried updating the app? Also, thanks for letting me know about the app. I agree with the others it’s not working on videos just images!. That’s correct. Thanks for pointing this out, Charlotte. what if i screen recorded the video, will it notify the sender or not? If you screen record the video using a third-party app/tool, they won’t get notified. Only if you do a screenshot. i screen recorded a disappearing video, will it notify the owner or not? If you screen-shotted a disappearing video, the owner will be notified. 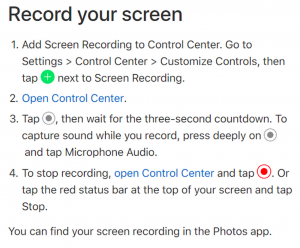 If you used a third-party app or tool to do a recording of your screen (video), they will not be notified. If I save a DM photo, does it notify the sender? No, only if they’ve sent a “disappearing photo”. Will they get notified if I save a photo through direct messaging? I have two accounts [1 personal and 1 business]. I need to save some Insta stories from my personal one to my camera so I can share them on the other IG. I sent them via DM from one to another.. but when I try to save them it only says “report!”. If you mean that you have uploaded the story from your own account and want to upload it from your other account, you can go to the account of which you have uploaded the story on and then save that story from there. If this does not work, there are apps that will help you save stories. Hi Pls I need help … In a conversation with a friend on Instagram, I accidentally tapped the microphone in the Google keyboard, suddenly a popup ad appeared saying audio saved to my ___@gmail. Will my friend get notified too?will my friend be aware of the Gmail . No emails/email addresses will be shared on Instagram automatically when sending a voicerecording. What you see inside the DM chat is what has been sent to them. If you cannot find the voice recording, it has not been sent. Taping save only saves an image thumbnail of the video actually. I believe you must have seen the feature on Instagram and assumed it saved the whole video, so off you went to write an article about it with out doing the proper research and now you’re getting feedback that the results are inconclusive. Way to go tiger! If you tap and hold on the video that has been sent to you, a “save” button will come up. If you tap that save button, you will get the video in your camera roll. For the sake of it, I tried it again, and it worked fine.